How to get to Westin Playa Conchal? airport transfer costa rica will organize Transportation to Westin Playa Conchal from Liberia or San Jose airport. 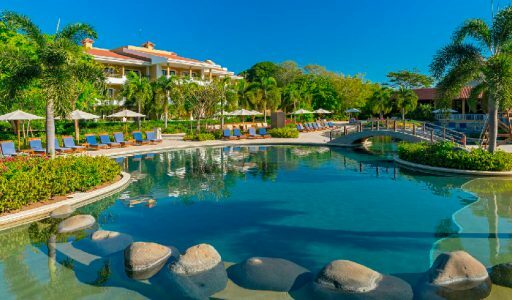 The Westin Playa Conchal is lacate in Playa Conchal Costa Rica, it takes 60 minutes from the Liberia international Airport or 4 hours from San Jose International Airport, wide sandy beaches and pristine blue water await any traveler. While the breathtaking views are an adequate backdrop for Starwood’s first all-inclusive resort, the extensive amenities including a lagoon-style pool, gardens, tennis courts, golf courses and thatch-roofed bungalows and the Westin Playa Conchal are all sure to make the retreat even more pleasurable. During your vacation in Playa Conchal you can book serveral excursions to; Arenal Sky Adventure, Palo Verde Boat Safary, Borinquen Combo Canopy Tour and Catamaran Sunsets Cruise. Tamarindo Beach is another atraction near the Playa Conchal, custormes can take a shuttle to Tamarindo beach, one of the most popular surfing destination in Costa Rica. 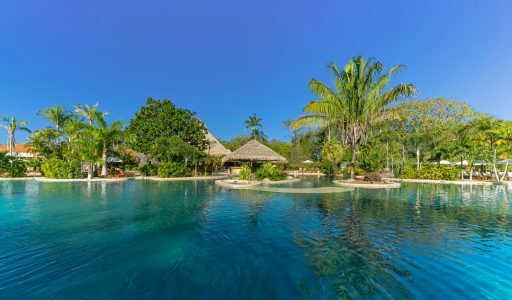 Some ameneties you will find in this resort will be: Family Club Lounge, Royal Beach Pool, Championship golf course, Tennis courts, Beach access, Beach volleyball, Tennis lessons, Kayaking, Karaoke, Free use of bicycles on site, Snorkeling, Fishing, Close vicinity to inspiring Costa Rican National Parks and Supervised Westin Kids Club. 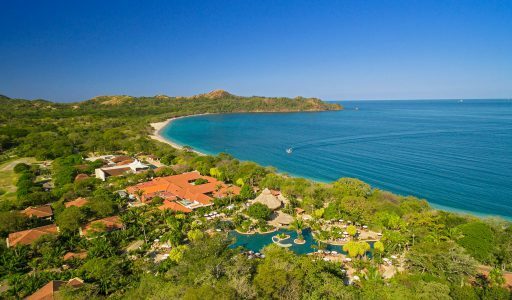 Private transportation makes it comfortable and relaxing to get to RIU Guanacaste Hotel, get picked up in the arrivals and driven directly to your hotel. When you book an Transportation to Westin Playa Conchal with us, you will get the following benefits.